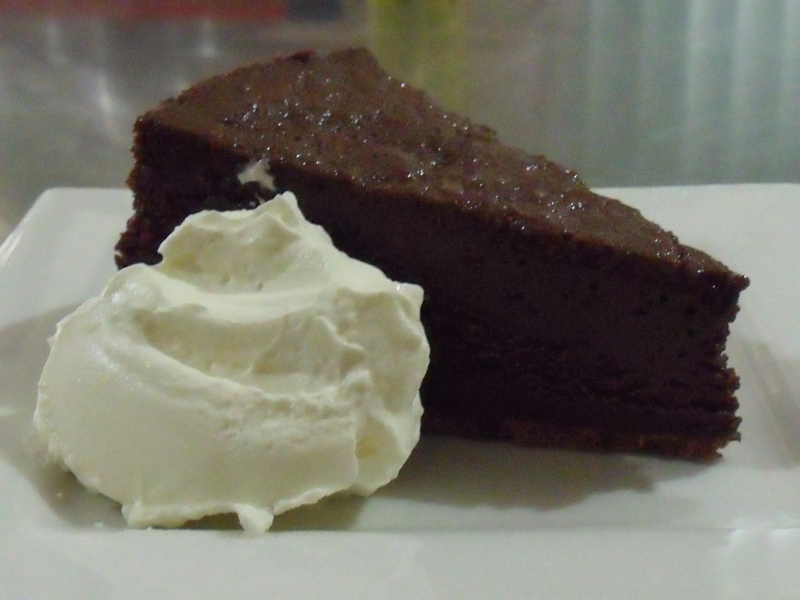 This recipe comes from The River Cafe in London, I was watching their show on the food channel & I had to try it, it’s a very rich chocolate mousse type of pudding. 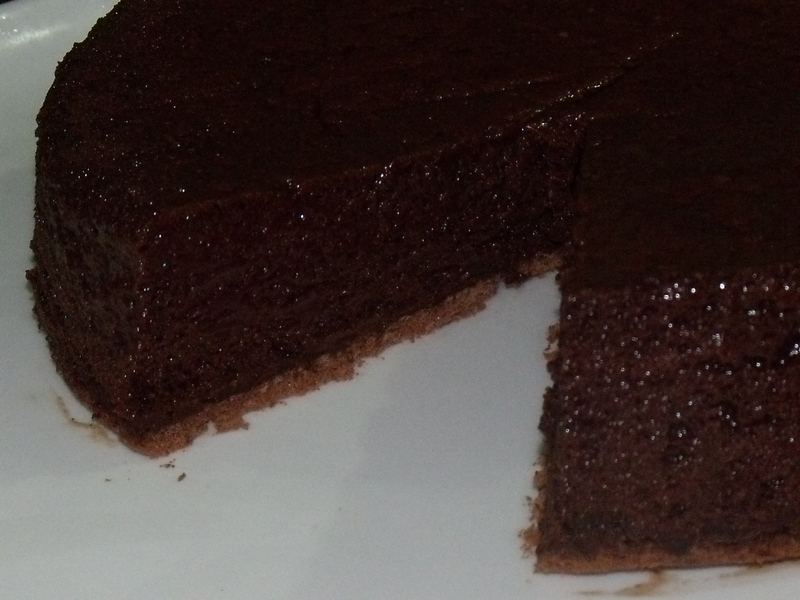 Chocolate lovers beware, will this be YOUR nemesis? 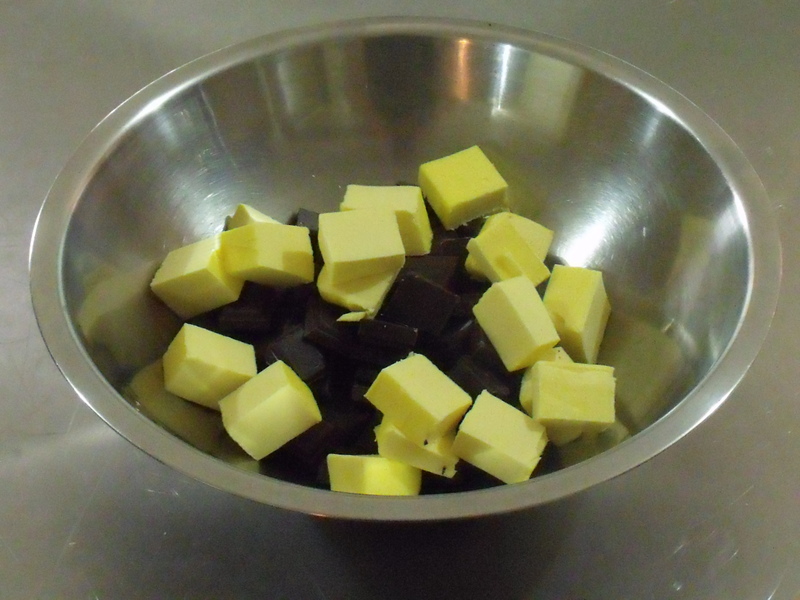 The ingredients below are half of the original recipe, I have tried it both ways but for some reason the half version & smaller tin seem to have worked alot better. 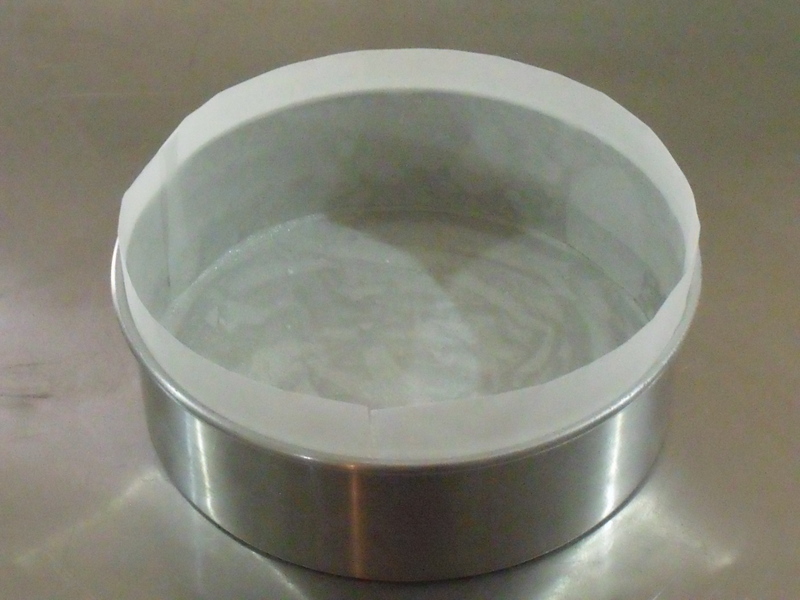 Grease & line a 20 x 5 cm cake tin, when lining the sides of the tin the baking paper should be higher than the rim because it will rise. 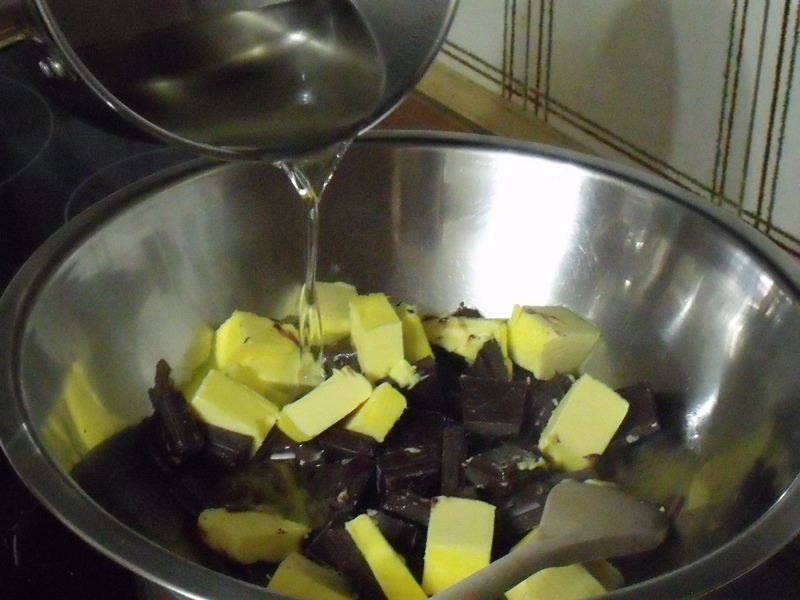 Place the chocolate & butter into a bowl over a pan of simmering water, when the chocolate & butter start to melt, add the sugar syrup & stir until almost melted then remove the bowl from the simmering water & finish melting off the heat, stirring until completely melted & combined. Set aside. 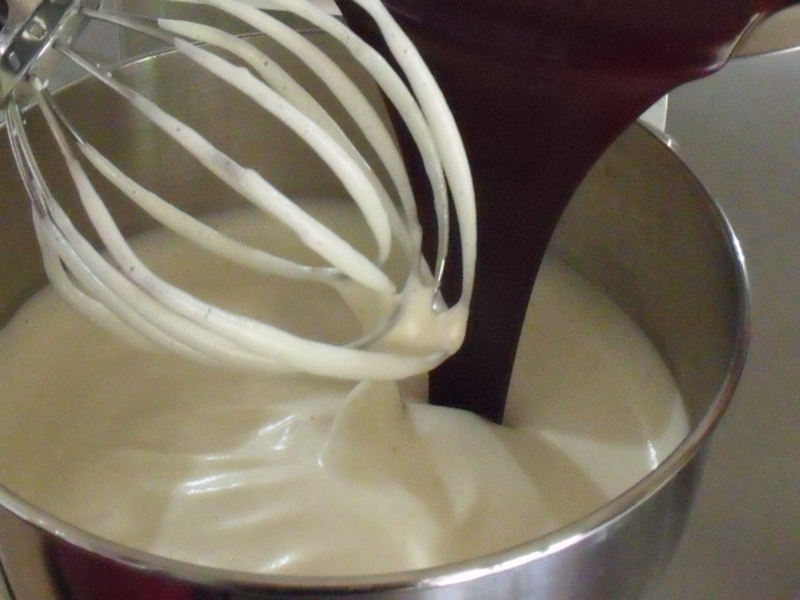 Place the eggs into a mixing bowl with the remaining 100 g of sugar & whisk on high speed until eggs triple in volume. 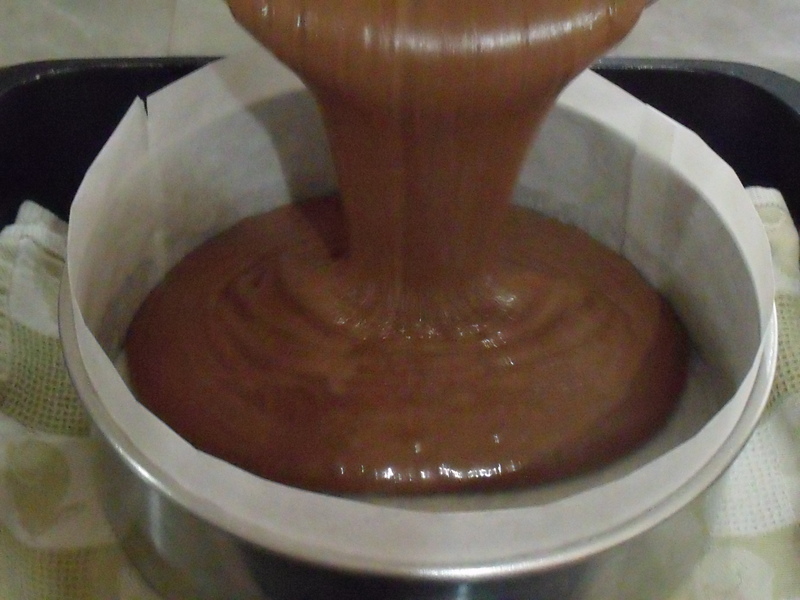 Turn the mixer to low & slowly pour your chocolate mixture into the egg mixture. I do this for a few seconds & finish stirring by hand until completely combined. Don’t over mix. Pour the mixture into your prepared tin, place tin into a large roasting pan lined with a tea towel ( this is to stop the tin from moving too much). 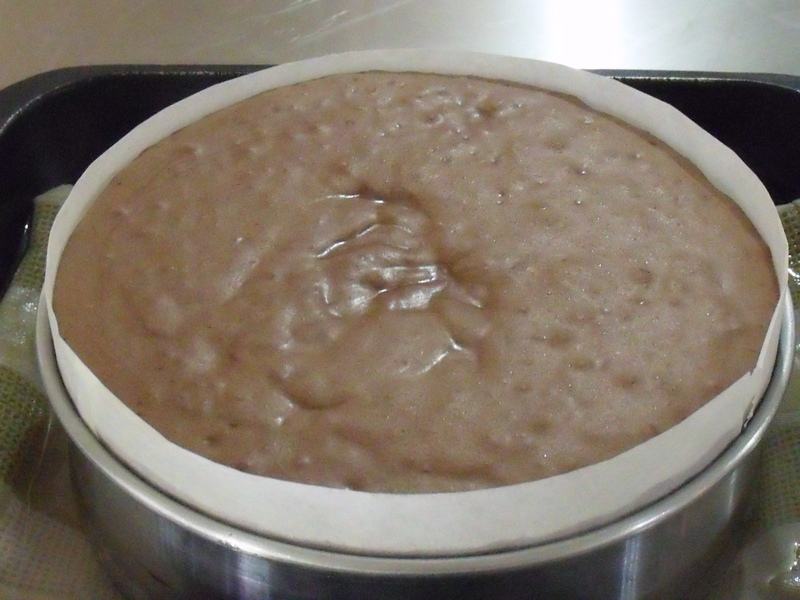 Place the pan into the oven then pour hot water from the tap into the pan until it reaches half way up the side of the cake tin. Bake for about an hour or until set, it will have a slight wobble in the centre, the nemesis will have a crispy meringue top when cooked, this will then be on the bottom when turned over. Remove the tin from the water bath & cool completely in the tin. 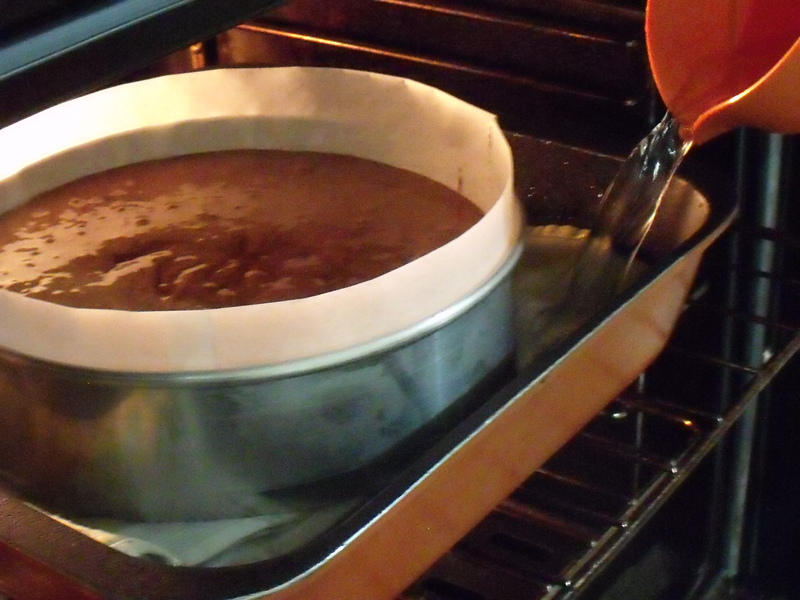 ( The nemesis will sink a little when cooled ) I place mine in the freezer for about 2 hours before turning it out. 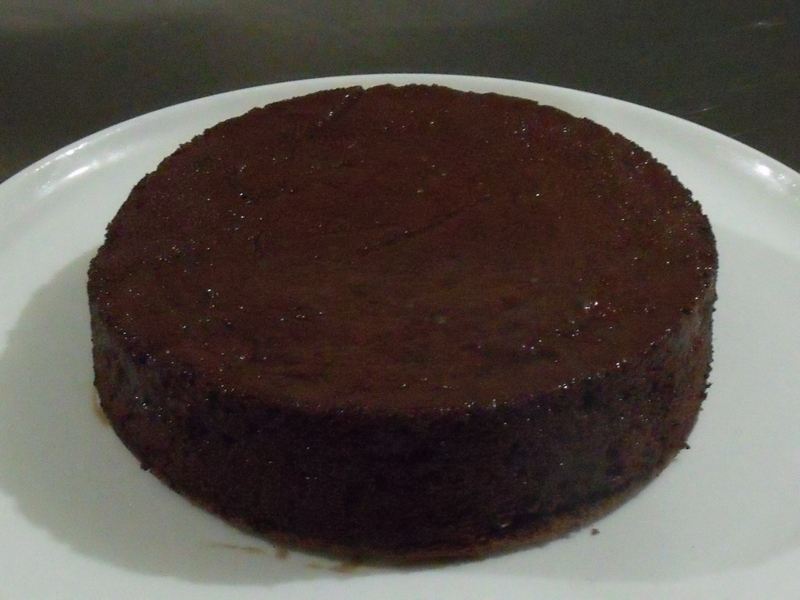 The first time I made it I chilled it in the fridge overnight but it was still runny when I cut it, so by placing it in the freezer it was easier to cut & I leave it in the freezer & just cut it when I want a slice. It doesn’t freeze solid so you can eat it straight away. * You may need to use a blunt knife to ease the paper from the tin after it comes out of the freezer. I said I’d make it and I did, I was apprehensive because of the bad result I had the first time, but this time it worked out FANTASTICALLY, I couldn’t believe it thank you soooo much, I actually cried because it worked. Whoopsy lol – I meant HUGE hit not HUGH – oh Hugh Jackman, what have you done to me?? LOVED!!! the recipe, made it Thursday night and we had it last night for dessert, it was hugh hit and the step by step photos helped immensely!! !